Lake Cargelligo is located in central-western New South Wales, on the Lachlan River. Activities include skiing, sailing, and fishing. Lake Cargelligo court house is on Canada Street, next to the Police Station. Lake Cargelligo is approximately 7 hours drive from Sydney, and NSW TrainLink operates a coach service from Cootamundra to Condobolin that run through the town daily.  Visit Sydney Criminal Lawyers® for Criminal & Traffic Lawyers for Lake Cargelligo Local Court.